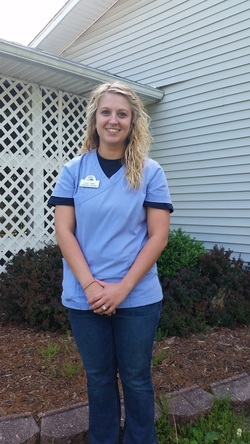 Lacy was born and raised in Tompkinsville, Kentucky. She is very eager to work with a variety of animals. She attended Western Kentucky University where she received a Bachelor of Science majoring in Biology. In her spare time, she enjoys the outdoors hiking with her family, including husband Wesley, who is native of Adolphus, Kentucky.